LACOSTE is pleased to announce the signature of a new partnership with golfer Alexander Levy. The Franco-American player, aged 24, has become one of the LACOSTE ambassadors on and off the golf course. He was also chosen to represent the new golf collection of the brand. After a successful amateur career, Alexander joined the professional ranks in 2011. 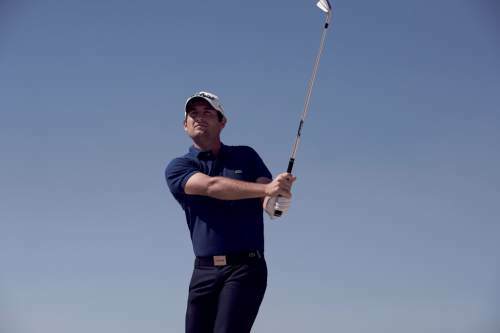 Last year, he won the Volvo China Open and the Portugal Masters becoming the first French player to get two wins in the same year on the European Tour. Relying on its authentic sporting roots, LACOSTE is represented today by more than a hundred tennis and golf champions from over 20 different countries such as Alexander Levy, Raphael Jacquelin, Jose-Maria Olazabal, Cristie Kerr, Azahara Muñoz, Gwladys Nocera. With a strong sponsorship presence, the brand reinforces its heritage in tennis and golf through world renowned events such as the Australian Open, the French Open, the Barclays ATP World Tour Finals, the Alstom Open de France, the Evian Championship and the French LACOSTE Ladies Open. As an international group gathering 10,000 women and men, LACOSTE offers a complete range of products: apparel, leather goods, fragrances, footwear, eyewear, home wear, watches and underwear, all of them being elaborated in the most qualitative, responsible and ethical way. In 2013, the brand garnered a turnover of 1.8 billion euros. For more information : http://www.lacoste.com. Independent Tests Prove Exotics Unbeatable. Batavia, IL (February 17, 2015) – An independent robot club test performed at Golf Laboratories, Inc. in San Diego, California, confirms that the Exotics E8 Beta fairway wood is truly the longest fairway wood in golf. The E8 Beta was tested against the newest fairway woods on the market and the results continue to support ‘Exotics legendary distance’ reputation and distinguish the technology as the best in the market place. “The E8 Beta fairway wood dominated this test,” stated David Glod, president and founder of Tour Edge Golf. “The advanced Beta Titanium cup face is the leading factor in its success. Titanium is stronger than other materials which allows us to make it thinner for more spring like effect and faster ball speeds, equaling more distance. Our cup face technology combined with combo brazing is our perfect recipe for maximum distance and performance. The E8 product line features Tour Edge’s lifetime warranty and 30-day play guarantee. Exotics E8 Beta fairway wood stock shaft is the Aldila Rogue Silver and Black. E8 Beta model: 3 (12 degree), 3 (13 degree), 3 (15 degree), 4 (16.5 degree), 5 (18 degree). Suggested retail E8 Beta $299.99. For more information, call (800) 515-3343 or visit http://www.touredge.com. LOS CABOS, Mexico (Feb. 11, 2015) – Quivira (pronounced key-vee-ra), the exclusive 1,850-acre development at the tip of Baja California Sur in Los Cabos, has garnered another prestigious award. Golf Inc., a revered golf industry publication, has cited Quivira as the “2014 Development of the Year,” honoring the $40-million Jack Nicklaus-designed layout and community with a first place award as the world’s finest golf facility opened last year. Quivira, with more than three miles of pristine golden beaches, picturesque desert cliffs and panoramic ocean views, is already considered Mexico’s premier luxury residential resort community. This master-planned community occupies a spectacular natural landscape and encompasses the Pueblo Bonito Pacifica Golf & Spa Resort, the Pueblo Bonito Sunset Beach Golf & Spa Resort, the Montecristo Luxury Villas and the high-end real estate communities of Copala and Novaispania Residences. The centerpiece of the development is the Quivira Golf Club, a Jack Nicklaus Signature golf course, complemented by an exclusive oceanfront clubhouse. Significantly, Golf Inc. made the first change in 12 years to its evaluation process, adding economic and environmental sustainability as criteria. According to the publication, “project vision accounted for 40 percent of the judging, course routing was 15 percent, aesthetics were 25 percent, and environmental and economic sustainability were 20 percent.” The diversity of criteria, coupled with stiff international competition, make Quivira’s award all the more momentous. According to Nicklaus, “We designed it (Quivira) in such a way that allowed the elements to be a part of what’s going on and freely adjust with the course over time.” Nicklaus, who worked with the natural landscape of the property, kept the residential development’s land plan fully intact. The golf course, like the development itself, has received overwhelmingly positive reviews since its debut in December, 2014. Nicklaus said Quivira’s windswept, ever-changing property posed design difficulties “but ultimately led to an award-winning course” at a spectacular residential development ranked among the best in Latin America. The Quivira Development was also recently named as the “Best for Living Abroad” in LINKS Magazine’s 2015 Special Edition for Real Estate. The real estate in Quivira currently encompasses Copala luxury homes and condominiums and the Novaispania residences. Copala is a full-time home and condominium community in the heart of the Quivira Los Cabos. The ocean view master-planned development will showcase beautifully designed homes and luxurious one-, two- and three-bedroom condominiums. The first condominium building will be ready in June 2015. Novaispania’s 44 luxury fractional ownership residences are situated on approximately one-third acre lots and offer brilliant views of the blue waters of the Sea of Cortes as it merges with the Pacific Ocean. The residences are a little paradise unto their own, with charming streetscapes accented by walking paths that lead to beautiful gardens, waterfalls and quiet sitting areas. Quivira Los Cabos is located only five minutes from downtown Cabo San Lucas on the southernmost tip of the Baja Peninsula in the Mexican state of Baja California Sur. For reservations or further information access the web sites at http://www.quiviragolfclub.com and http://www.pueblobonito.com or call 1-800-990-8250 to customize a visit. For more information visit http://www.pueblobonito.com, find us https://www.facebook.com/PuebloBonitoResort and follow us on Twitter @PuebloBonito. Danang, 12 February 2015—After 20 years of staging successful World Masters tournaments in Australia, New Zealand and Thailand, Go Golfing has partnered with Golfasian to host the inaugural Accor Vietnam World Masters Golf Championship in Danang from 6 to 12 September 2015. “As a partner of the Accor Vietnam World Master Golf Championship 2015, we are so proud to be associated with this world-class golf event” said Timothy Nott, General Manager of Pullman Danang Beach Resort. “We are delighted to host Vietnam’s biggest 19th hole festivities and golf presentations each night during the tournament as well as providing the luxurious beachside accommodation for the event. We are confident the Accor Vietnam World Master Golf Championship will be the new benchmark for masters events in the region and look forward to many years of partnership,” he added.